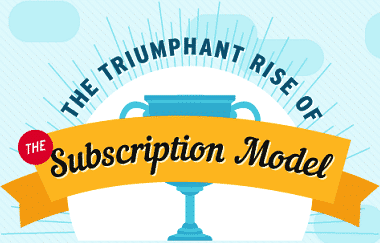 The subscription model makes sense from the business perspective, but as the Internet of Things continues to proliferate we might need a new model. Microsoft has Office 365, the cloud service with the monthly or yearly fee. Adobe has completely phased out their buy-once use-forever model, favoring a $50-a-month service. Same-same with Quickbooks, TurboTax, Amazon Prime, Netflix, and Spotify. Even smaller, more niche software has jumped on the SASS bandwagon. Buffer, a service I use to watch my Twitter activity, is about $10 bucks a month. I appreciate that the software evolves over time, and the cost-benefit process of deciding to upgrade every year is in the past; instead, I just have to decide whether I want to continue paying for the service or not. 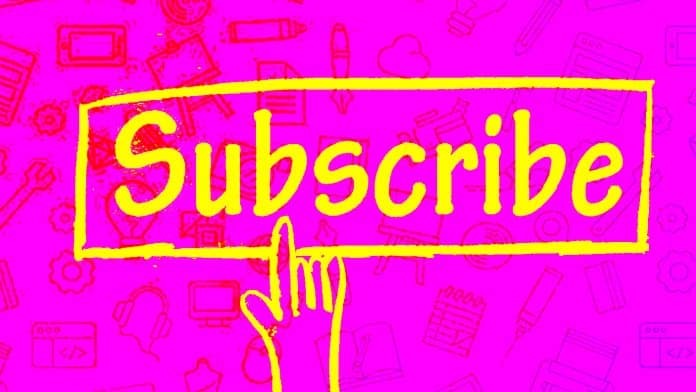 Also, I understand the proposition from a business perspective: monthly subscriptions are a much more sustainable revenue stream than the boom-or-bust cycle of big yearly releases. Get one or two bum releases and your company falls apart. Alternatively, if you lose a few subscribers from one month to the next, you have a chance to right the ship. In the past, one could buy a copy of the software that isn’t so important to them and rarely upgrade – good enough was good enough, and the company got a sale. Now, especially with relatively expensive services like Adobe’s, the casual consumer is being separated away. That user that would upgrade every three or four years rather than yearly is now unable to make that choice. As we start to connect more and more real devices to the internet, a problem begins to emerge. Those over-the-air upgrades and cloud services are not free, not by a long shot. But nickel-and-diming consumers, wrapping the weight of a new subscription around their ankles every time they add a new device to their network, is unsustainable if we want to see the Internet of Things proliferate in the way the regular ol’ Internet did. Heck, all you needed to connect to the Internet was a mailbox and $9.99 a month. The magical AOL fairy would float down and leave a CD in the mailbox if you were a good boy or girl, you shoved it into the LITE-ON CD/DVD+-RW drive and after less than $10 a month, assuming you said no to all the crapware features, and you were surfin’ the web at a screaming 56 kB/s. Today, if you want to keep a record of what the Nest Cam has been recording, you need to shell out $10 a month. For one service. Not that I blame them, like I said, keeping the lights on, upgrading the software, keeping the servers humming, and making a profit all have costs. But the monthly payment model, in my opinion, is unsustainable past a few devices. As the internet of things grows to dozens and perhaps hundreds of devices humming away in your home, there needs to be another business model. There are other ways, each with their pros and cons, that I’d like to discuss. That is, bring your own service. Nest Cam could, in theory, offer the software and upgrades for free and consumers could run their own copy on their own cloud provider like Microsoft Azure or Amazon AWS. The benefit for consumers would be, if they run services from many vendors on one cloud provider, there’s one cost associated with how much they spend. The benefit from Nest’s perspective would be not needing to run their own cloud services. Or, you could optionally run your own cloud. Consumer choice is good! Why free updates? Make money from hardware sales, not restricting upgrades. Your bottom line could be affected by security breaches, which in turn could lead to recalls and PR disasters. One big negative for companies is that the steady stream of revenue goes away, and another is the lack of control over the servers these individuals run. How much liability do they have if a server is never patched? Questions like these have been answered, as I can run Windows Server on any server I please, but that lack of control is a consideration. Think of Spotify or Netflix here. Rather than me paying every single artist for a subscription to their songs, I am able to subscribe to a bunch of different record labels and artists all at once. The Netflix example is the same, but with movies. A similar deal could arise with IoT. I could pay a single service (let’s call it Spotify IoT because I’m lazy with naming) and in turn, they work out deals with IoT companies to measure usage and pay them a fair share of the revenue. The upside is I only have to pay one fee, and I assume Spotify IoT would have better negotiating power than the average consumer. The negative here is that Spotify IoT might not work with every company I want to work with (think Taylor Swift), or even if they figure out a way to work with every company providing an IoT service, they could continue to inflate the prices or not fairly compensate the many various IoT vendors. Instead of a granddaddy service that hides the individual cost of each child service, there could also be a dashboard that taps into the APIs of IoT companies to measure and report usage, and allows you a single point-of-entry to monitor and manage all the child services. In distinction from the grandaddy service, this dashboard would not obfuscate the price of each service, and in fact, you would still pay each IoT company separately (even if it was all through the Dashboard). There would be many individual services, much like now, but you would have a much more manageable way of dealing with them. In addition, this dashboard could provide the ability to turn on and off individual features within each service to more precisely manage your spending. Don’t need that Nest storage for more than a day or two? Turn off long term storage and save $3 a month. Fog Computing is the idea that to reduce computing idle-time and reduce latency, you can use computing power from computers on your local network (or your neighbors) to off-load compute costs. In theory, you could create IoT devices that offload their computing costs to local devices and only use the cloud to get data from other fog computing devices across the world. There might not be a need for centralized servers, called the cloud, if the number of idle local devices continues to grow. Having a fully foggy world is an unlikely scenario, however. It’s still very useful to have centralized cloud services, and that will likely remain true for decades to come. While fog computing will play a part in reducing server costs in coming years, it won’t displace cloud as the king in the foreseeable future. This is a red herring. As you can probably tell, there are no easy answers. The future will likely be a confusing mix of these solutions until push comes to shove. 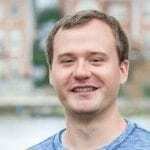 I’m counting on there being increased discrete services until SASS fatigue hits critical mass, at which point users will start to really question whether they need that next device to be internet-connected. Soon after, savvy startups will figure out a way to get hundreds of internet-connected things online while offering an attractive cost-to-benefit ratio for consumers.